ESSEX — Got a houseful for Thanksgiving Weekend? Then skip the malls and deck the halls! 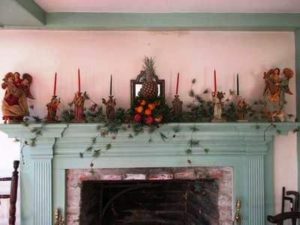 Join Essex Historical Society as members usher in the holidays at the beautifully decorated Pratt House, 19 West Ave., Essex, on Friday and Saturday, Nov. 24 and 25, from 11 a.m. through 2 p.m. Learn about life in an early seaport town from our knowledgeable guides. The house will evoke scenes from Christmases past, decorated with locally-sourced materials. Guided tours are free. The Museum shop will be open for holiday gifts. For more information, visit www.essexhistory.org or call 860-767-0681.